New Hampshire’s major electric utility, Eversource Energy, provides electricity delivery service and default generation service. Eversource Energy continues to manage and control the delivery portion of the electricity (lines and wires), but is no longer in the business of providing the lowest possible electric rates. Instead they offer a default rate called the Price to Compare. Price to Compare rates change twice annually. 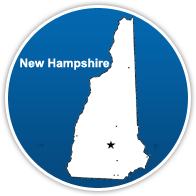 Low Competitive Rates in New Hampshire are available below. The competitive rate replaces the Price to Compare on the Eversource Energy electric bill.